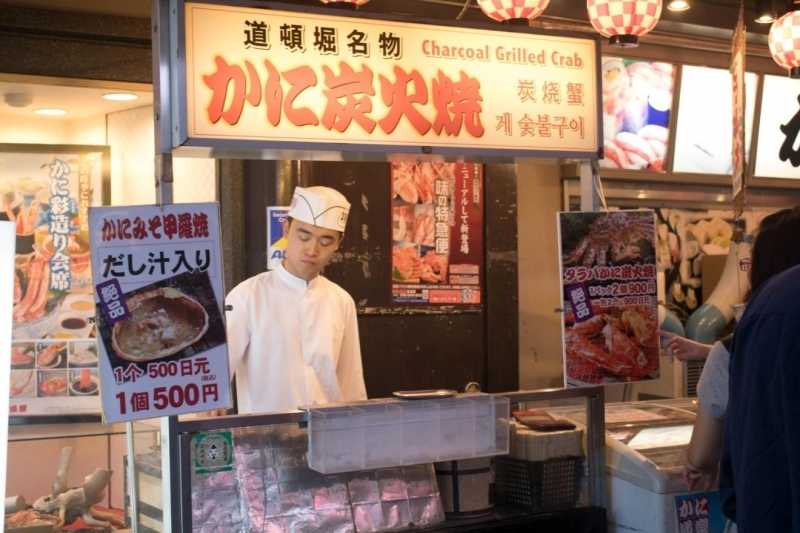 Osaka is widely known as the ‘Kitchen of Japan’, offering some of the very best street food in the entire country – that’s saying a lot considering the quality of food in Japan. But out of the many hotspots in Osaka for foodies, Dotonbori stands out as THE place for an ultimate culinary adventure. In fact, there’s a local saying at Dotonbori called ‘kuidare‘ which means eat till you drop. 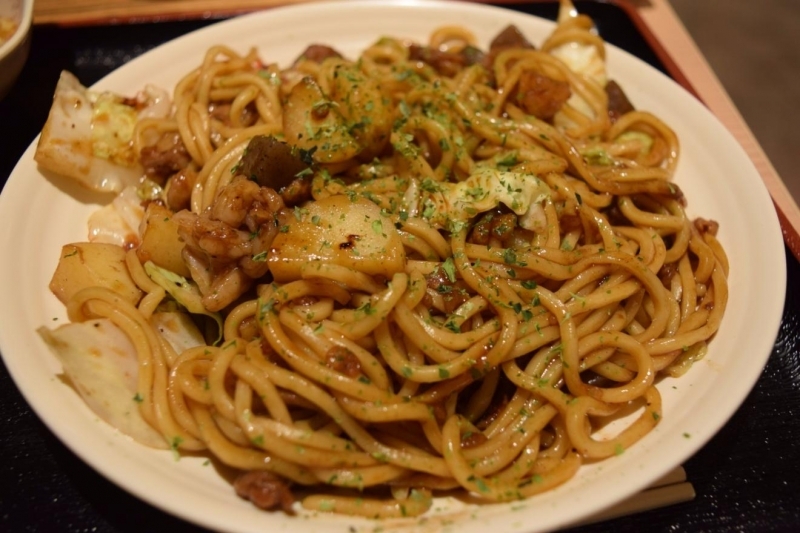 So, without further ado, here’s a list of the top ten must-try foods in Dotonbori, Osaka. P.S. As a reference, 100 yen is roughly RM3.80. 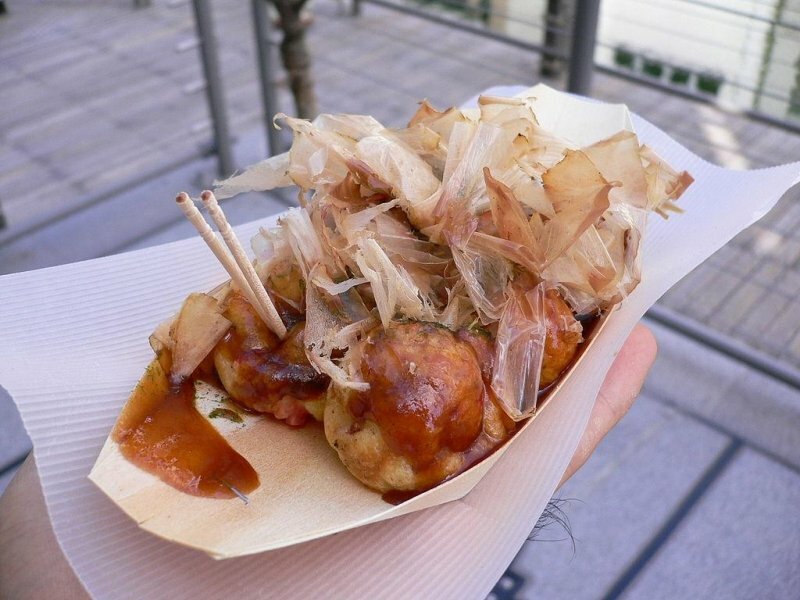 Takoyaki is arguably the most recognisable street food from all of Japan and the best are found in Osaka, specifically in Dotonbori! Basically, batter made from flour, eggs and dashi (Japanese stock) is cooked in special ball-shaped steel moulds and filled with bits of juicy bite-sized octopus slices, green onions and pickled ginger. The most basic takoyaki is topped with a savoury sauce, mayonnaise and dried bonito. However, you can find a lot of more special to-order variations, such as ones topped with shredded cheese. There are even stalls in Dotonbori which top their takoyaki with half-boiled eggs. Yummy! Average price: 450-600 yen (RM16.90 – RM22.50) for a serving containing about 8 to 10 balls. 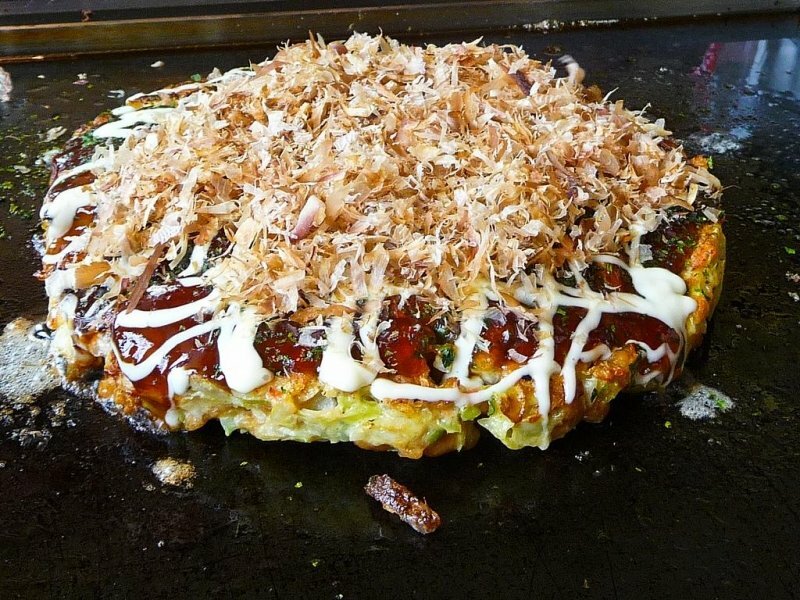 Okonomiyaki is basically pancake on steroids. Batter made of flour, water and, in the case of Osaka, shredded cabbage, is grilled over a hot iron grill. More scrumptious ingredients such as squid, seafood and meat are also added according to what you fancy. The okonomiyaki is served with a generous helping of okonomiyaki sauce, mayonnaise, a green layer and dried bonito. In many okonomiyaki stores in Dotonbori, customers are even given the option to cook and assemble their own okonomiyaki, adding to an amazing culinary experience. Average price: 700 yen (RM26.30) and above, depending on what you decide to add to your okonomiyaki. 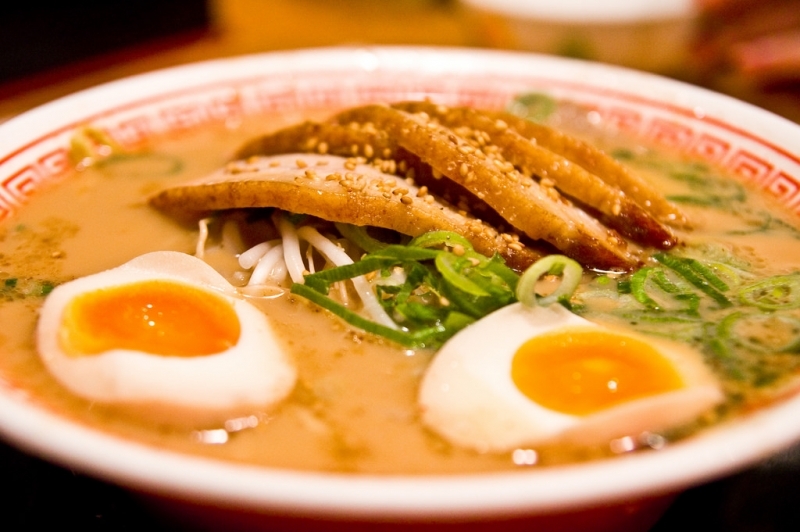 One of the most traditional Japanese culinary staples, ramen is often served in a rich broth with slices of meat (often pork but other variations are available), half a boiled egg and topped with bean sprouts, green onions or scallions. The springy noodles, savoury meat and fresh vegetables all combine into mouthfuls of pure joy! One ramen store I highly recommend in Dotonbori is Kinryu Ramen, one of the most popular ramen shops in the area. It’s located towards the centre of Dotonbori and you’ll recognise it by its iconic green Japanese dragon statue out in front. Average price: 600 yen (RM22.50). As you walk along Dotonbori, you’ll no doubt come across a huge mechanical crab hanging on the walls of one of the buildings. Congratulations, you’ve just found Kani Doraku, a seafood shop specialising in crustaceans, especially crab (hence, the mechanical crab, duh!). Two of the must-try items on the menu are the grilled crab legs (simple dish, seasoned and grilled to perfection) and kani miso. Kani miso might be a little weird for some people because it’s basically miso made from crab roe and other internal organs. It’s often served in a crab shell or used as an ingredient in crab meat sushi. Some may like the taste while others may find the “smell of the ocean” a little overwhelming. 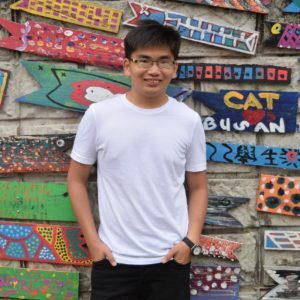 Regardless, you might like it, so why not give it a shot? Average price: 700 yen (RM26.30) for grilled crab legs and 500 yen (RM18.80) for kani miso. 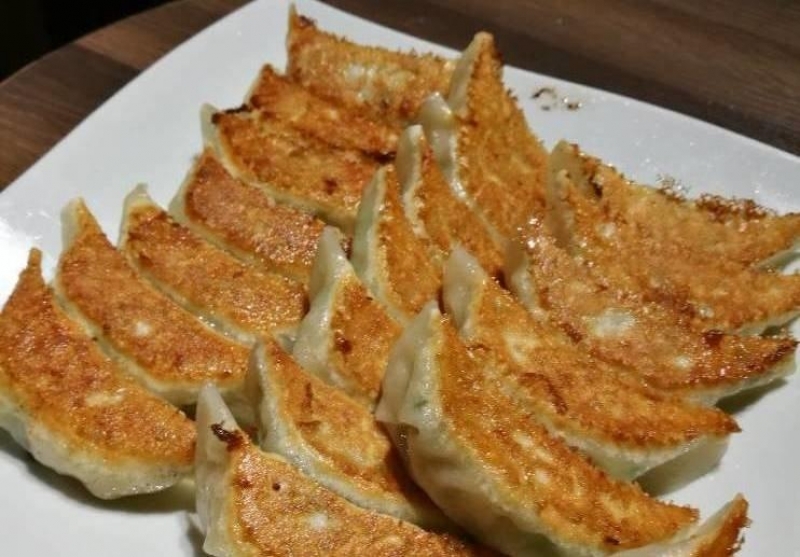 Gyoza (also known as Japanese dumpling) is probably the go-to street food for many in Japan, and it’s hard to argue against that. The dumpling skin is filled generously with minced meat and chives (most common but other variations exist) and grilled. The skin is crispy yet fluffy, the interior juicy and the taste? Amazing. Make sure to drizzle your gyozas with a little tare sauce for that extra kick! Average price: about 200 yen (RM7.50) for 6 gyozas (single serving). Another local favourite is the kitsune udon. 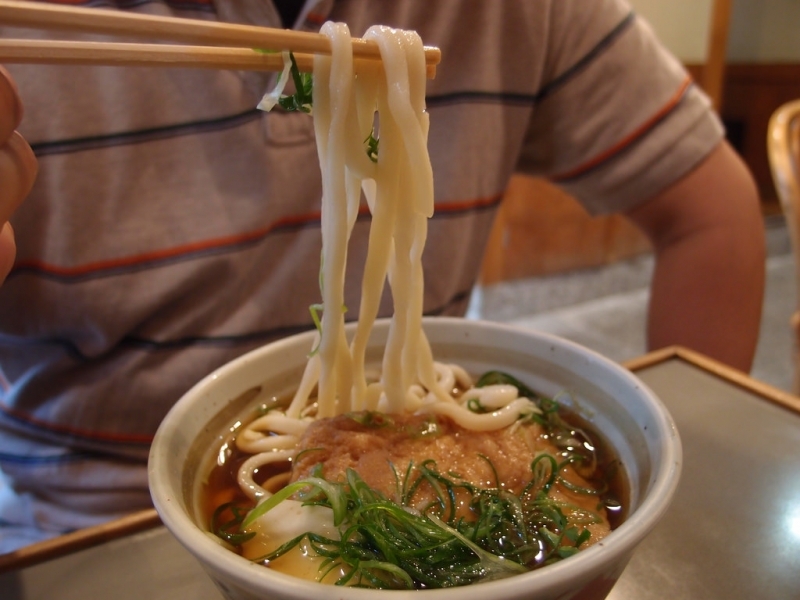 Udon is made of wheat flour but unlike ramen, it is much thicker and offers a firmer bite. Kitsune Udon is a simple dish by comparison to others on this list and is generally made up of three components: udon, deep fried tofu, and green onions. The broth is light but tasty and the udon springy and filling. Perfect for the palette. Kushikatsu is more or less like a mixture between tempura and lok-lok (a kind of skewered street food popular in many places in Malaysia). 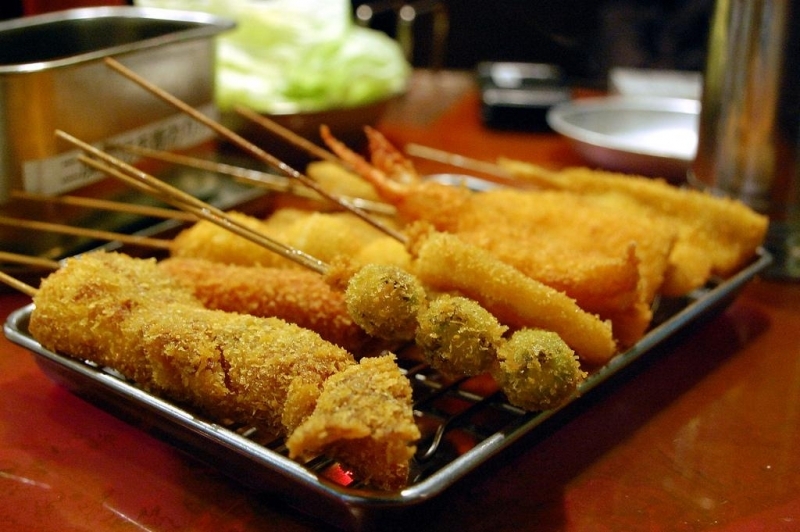 Fresh ingredients ranging from meat to vegetables to quail eggs are chosen, skewered, battered and breaded, and then deep-fried to crispy golden perfection. A condiment station is often found at the stall where you’re allowed to dip your assortment of skewers in the savoury sauce (only dip once!) for extra flavour. I personally recommend that you eat this with an ice cold beer. Perfect combination. Average price: between 80-200 yen (RM3 – RM7.50) per skewer depending on your ingredients. 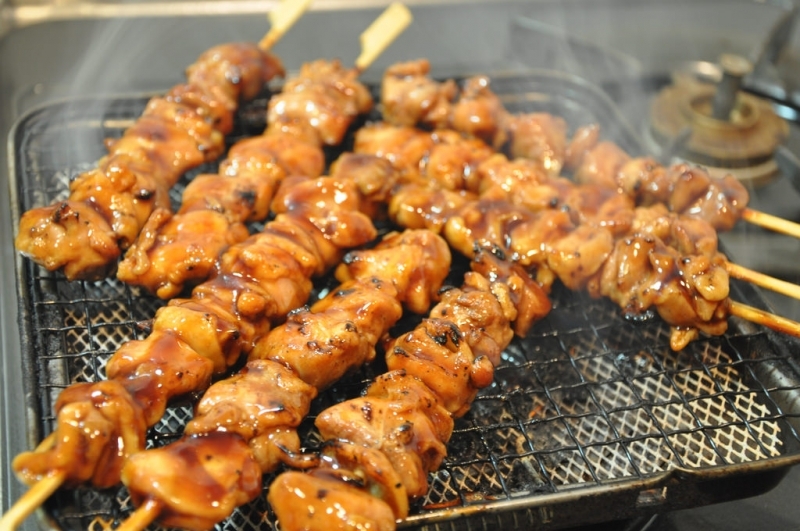 Yakitori is simply grilled chicken on a skewer. Bite-sized pieces of chicken are skewered on wooden or bamboo skewers and grilled over a charcoal grill, giving it that oh-so-lovely smoky aroma. Before serving, the yakitori is often basted with tare and occasionally seasoned with other ingredients such as wasabi or various peppers. If you’re feeling truly adventurous, you could also replace the conventional chicken meat with chicken liver, heart or intestines. Average price: 500 yen (RM18.80) for 2 skewers. Having had so much deliciously savoury food stuffed into one’s mouth can be a little tiring. So I say it’s time to refresh our palette with a little dessert. 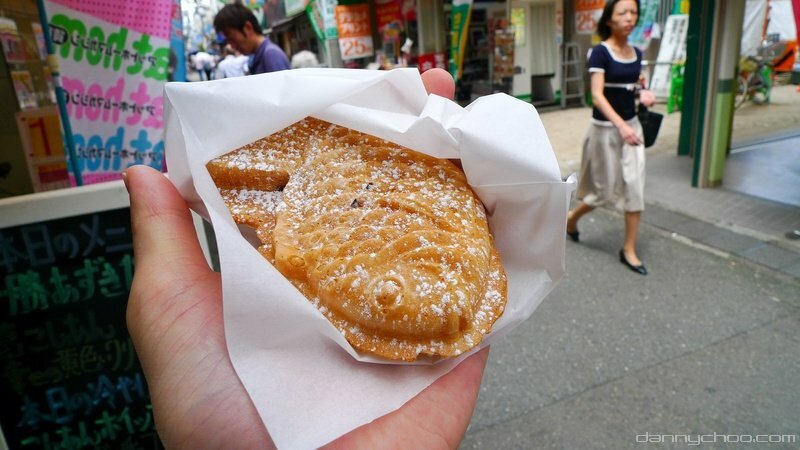 Taiyaki is a popular dessert pastry that’s shaped like a sea bream. The dough is fluffy and fragrant and the crust is crispy with just the right amount of thickness. Traditionally, taiyakis are filled with red bean paste or sweet potato, but more modern variations include chocolate, custard and for the truly sinful, even meat and cheese! Additionally, there is an opening along Dotonbori, after Kani Doraku, where you will find a semi-food court. There is a green truck there which sells the most amazing ice cream melon bread. But be warned, the queues that are often found by the truck are a sight in their own right. Average price: between 100-300 (RM3.80 – RM11.30) yen each. 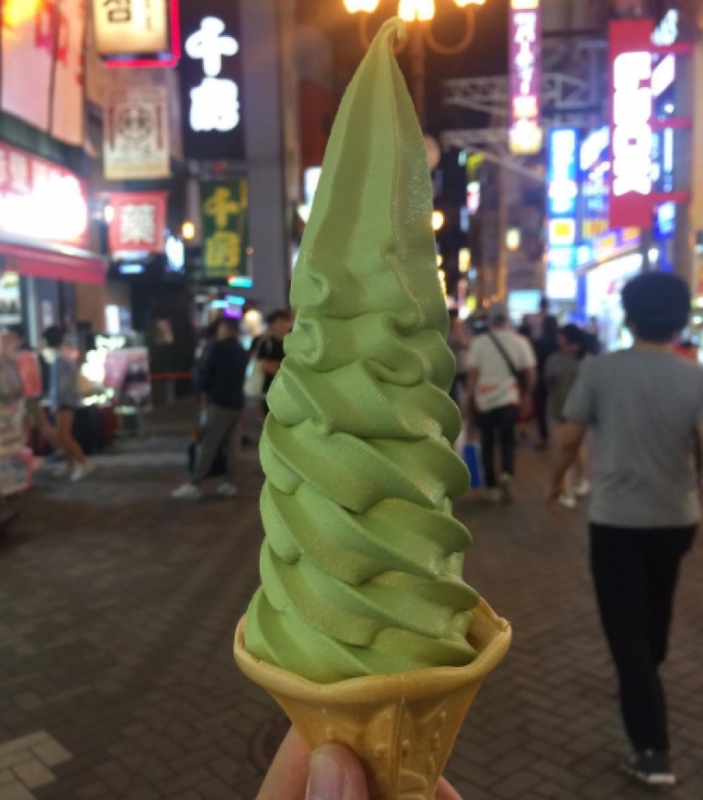 If you’re looking for yet more dessert to round off a night of eating, then I must insist you try the popular green tea soft-serve ice cream cone. Of course, other flavours are available, but come on, you’re in Osaka, Japan. The ice cream is amazing, creamy and the cone is flaky and light. What’s most impressive, however, is how tall the ice cream cone can get! I’ll leave that to your imagination. 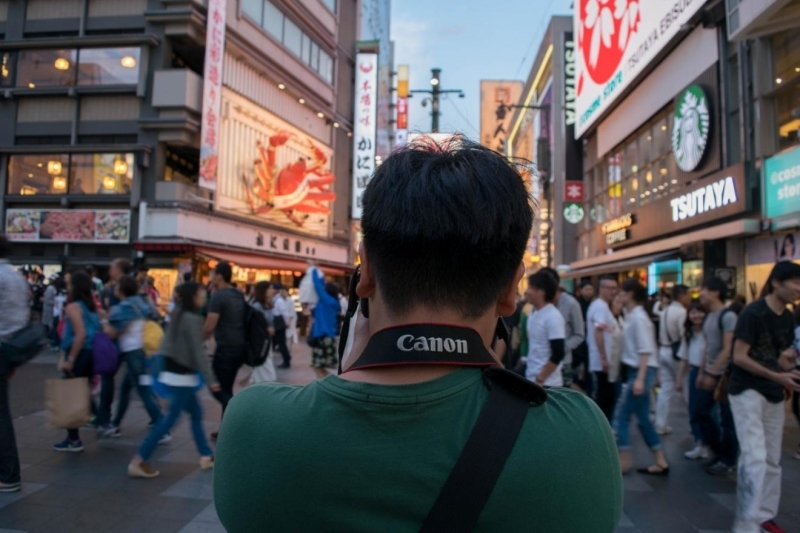 Of course, Dotonbori has so much more to offer in terms of food other than what I’ve mentioned in this article. You can find many stalls selling tempura, tornado fries, egg tarts from Macau (for some reason) and even Kobe beef! But one restaurant that deserves special mention is Zauo which is a seafood restaurant. What’s so special about it, you ask? Well, you have to catch your own dinner. Yes, at Zauo, you get on a boat, grab a fishing pole and some bait and literally catch the fish you want to eat. Once the fish is caught, you can decide on how you want it prepared and it will be cooked according to your preference. It’s a fun experience but one which requires a fair amount of patience…obviously. 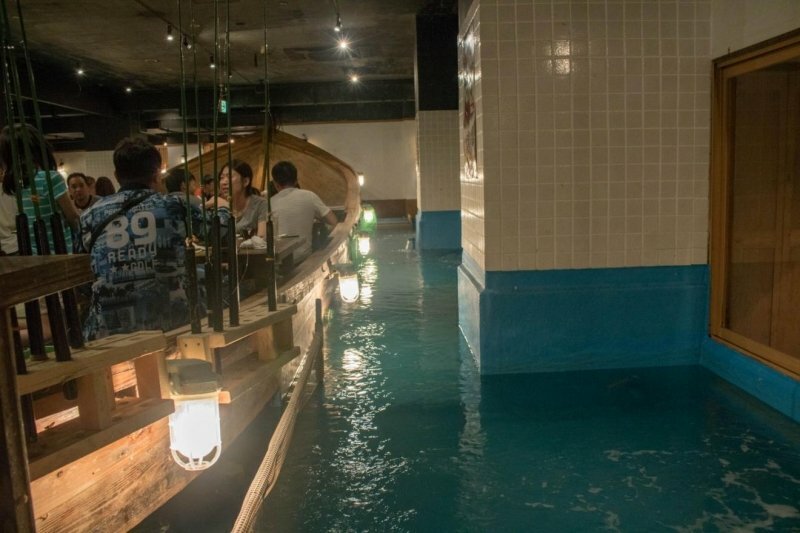 So, why not try it out for a fun dining experience?